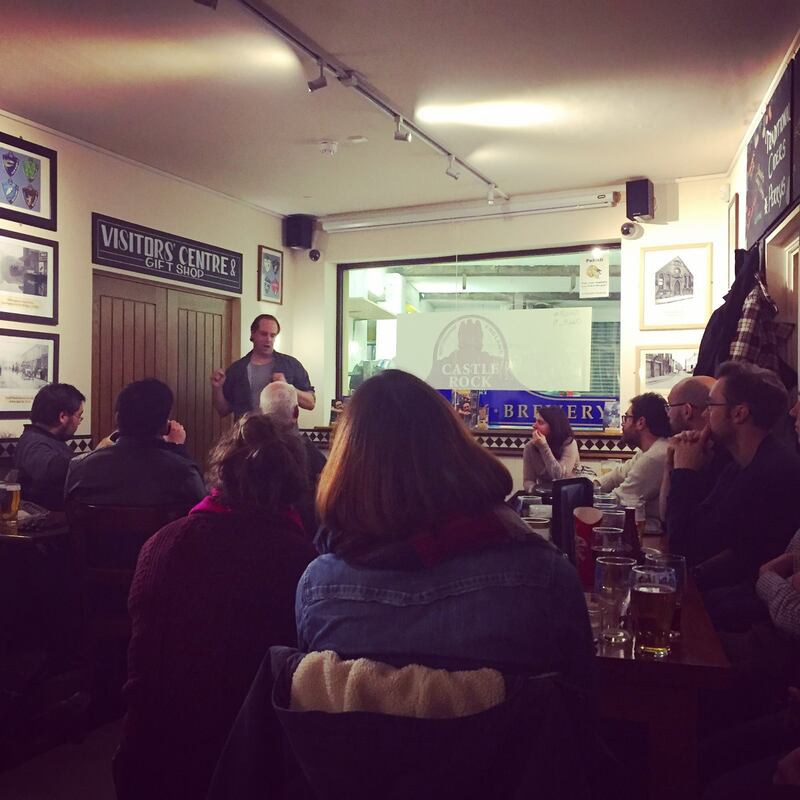 On Tuesday 26 January, three scientists from The Genome Analysis Centre (TGAC) helped kick-off the first instalment of ‘PubhD’ at the Cellar House in Eaton, Norwich. A varied local audience, joined two TGAC PhD students, Thomas Bradley and Maxwell Rogers, to learn about the breadth of TGAC’s research through a series of talk. Facilitated by TGAC Public Engagement and Society Officer Peter Bickerton, the session showcased topics from fascinating fish, and the orchestra of life to the wonders of microalgae, followed by some in-depth questions, answers and dialogue. A national campaign, PubhD aims to help PhD students explain their research to a lay audience using just a whiteboard and marker pens. The idea is to get across the main focus of their research in terms that anyone can understand before members of the public get the chance to quiz them and discuss over a drink or two. Considering the importance that PhD research has on the bulk of published science, as well as the famous discoveries that have occurred over a pint in the pub (the structure of DNA for one), where events such as this are an extremely valuable experience. The audience of thirty people left feeling both engaged and informed, describing TGAC as “worthwhile” and “very far-reaching; looking forward to all the benefits in the future.” Various people also expressed their interest in hearing more and signed-up to hear about future TGAC events. 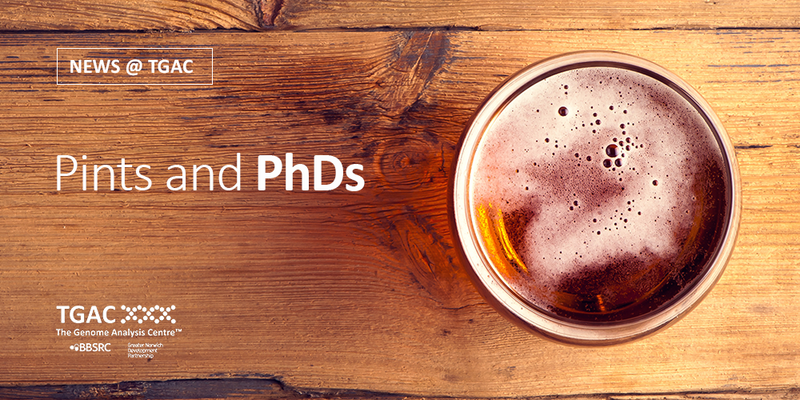 PubhD Norwich‘s next event is on Tuesday 23 February 2016 and features speakers from the Institute of Food Research. In October 2015, PubhD Lisboa started. Later this month, another PubhD is starting up in Portugal. It is called PubhD UMinho (i.e. Universidade do Minho) and will run monthly across two cities in the north of Portugal: Braga and Guimarães. At each PubhD event, three researchers from any subject area explain their work to an audience in a pub in exchange for a drink or two. The talks are at a “pub level” – the idea is that you don’t have to be an academic to understand the talks. 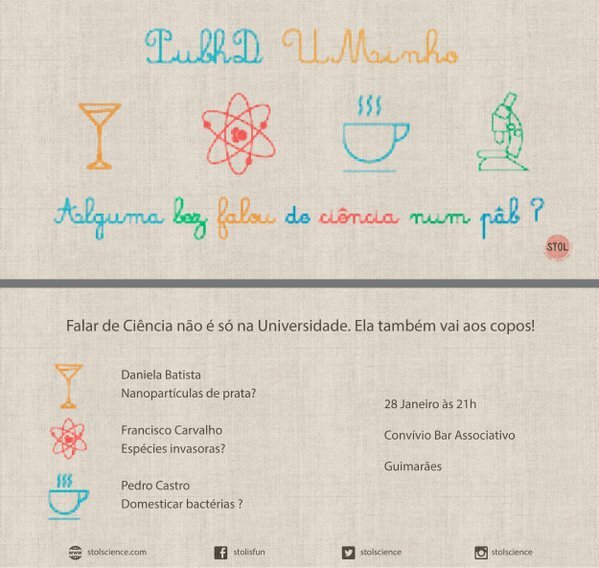 PubhD UMinho’s first event is in Guimarães on 28 January 2016. 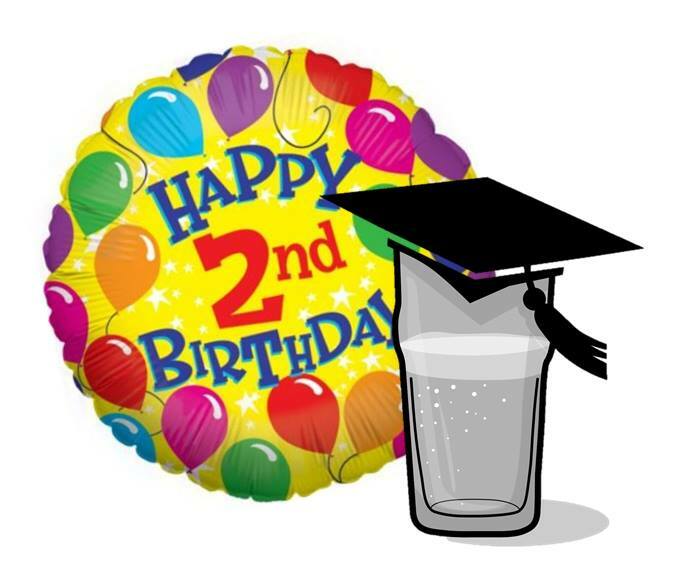 We had our 23rd PubhD Nottingham event last night – and it was also our two year birthday. We had three fantastic speakers (Helen Drew, Andy Chick and Sam Morley) talking about subjects as diverse as History, Forensic Entomology and Mathematics. Fascinating talks, very entertaining Q&As. I wanted to share an anecdote provided by Andy. Andy is researching Forensic Entomology – “the application and study of insect and other arthropod biology to criminal matters”. Basically, using insects such as blue bottle flies, and the eggs they lay, to establish an approximate “time of death” of a person – or more accurately, the minimum length of time a body has been lying around in, say, some woodland. Andy’s specific area of research is to investigate if smoking effects the estimates of time of death. Nicotine is known to be an insecticide. If a person was a smoker, does this need to be taken into account during the calculations? The best human analogue for these types of experiments are pigs. Pigs are similar to humans in many ways (fat content, body mass, hair-to-skin ratio, etc), which makes them the ideal for forensic experiments. Andy’s experiments involved essentially injecting nicotine into (already deceased) pigs that were not fit for consumption. He then observed them over many days to see if the nicotine changed the behaviour of insects, their eggs and their young. During the Q&A and I asked the obvious question: how smelly was this work? Andy and his colleague shared a lab with the sports science department. As you can imagine, there were a lot of complaints from the sports scientists. The smell. The flies. The smell. The flies. The rotten sticking pigs. The flies. The smell. It was bad. You know what that smell is? It’s the smell of real science! Exciting times! PubhD Norwich and PubhD Birmingham have just been added to the (growing) list. 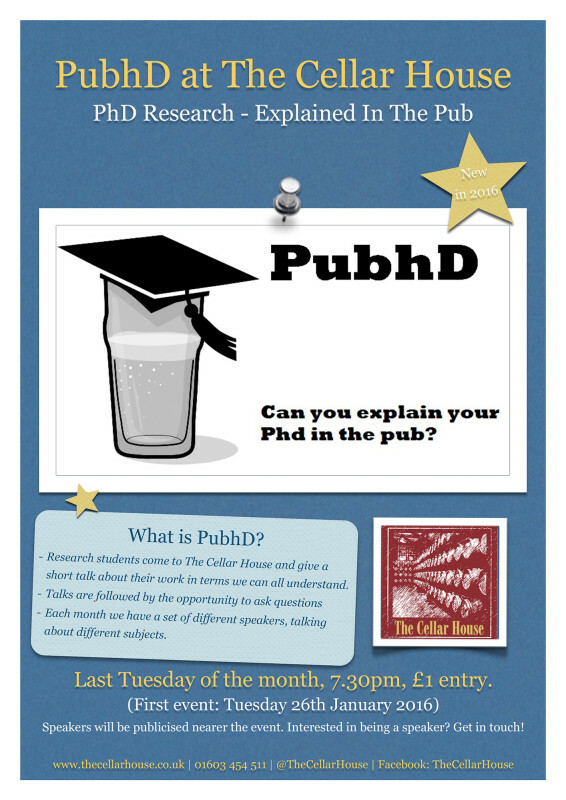 PubhD Norwich’s first event is on 26 January 2016 at The Cellar House, which is near the University of East Anglia. PubhD Norwich is being run by Victoria MacDonald and Grahame MacDonald, who conveniently own The Cellar House! And on 27 January 2016, PubhD Birmingham kicks off. Their first event is at The Victoria pub, which is near New Street Station. PubhD Birmingham is being organised by Emma Dunne and Katie Oliver. The first PubhD outside of Europe: PubhD Kigali! Do you have a PubhD in your city? RobynChristineWaite on PubhD arrives in London!